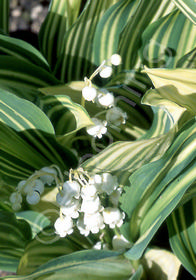 This choice and rare plant has green leaves variegated with yellow pinstripes. It is especially striking early in the season when the leaves first emerge. Fragrant white flowers appear in spring. Slower-growing than species.